The original Heshbon Expedition was begun by Siegfried S. Horn in 1968 with the goal of establishing whether Tell Hesban (Tall Hisban) was the Heshbon mentioned some forty times in the Old Testament. 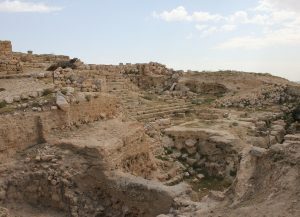 The discovery of twenty-one occupational layers spanning not only the biblical era but also the classical and Islamic eras, made a new approach necessary—one that could deal with the site as a complex, multi-millennial whole. Such an approach was provided by anthropological archaeology. This new approach culminated in 1980 with what has become known as archaeological food systems theory. Related concepts include cycles of intensification and abatement, sedentarization and nomadization, indigenous hardiness structures and great and little traditions. Phase II investigations have focused especially on the site’s Islamic history as a means to ascertain the role of external factors (imperial world making) and internal factors (local world making) in shaping the material culture and social world of Hesban through time.